Add this to the list of reasons to treat sleep apnea in your dental office. It has been found that there is a connection with post traumatic stress disorder (PTSD) and obstructive sleep apnea (OSA) in veterans. With the use of a continuous positive airway pressure (CPAP) machine, veterans experience a reduction in PTSD symptoms. This has been measured by both a PTSD checklist score and reported nightmare frequency. Results from this study were published in the Journal of Clinical Sleep Medicine. In this study, veterans with newly diagnosed OSA were examined. Each patient participated in a military version of the PTSD checklist, the Epworth Sleepiness Scale and reported nightmare frequency at baseline and six months after initiation of CPAP therapy for treatment of OSA. Veterans with PTSD exhibited CPAP compliance with greater beneficial changes evident. However, in the non-PTSD group, those with poorer compliance, their checklist increased despite the use of CPAP therapy. Their score also improved slightly in those with better compliance. Even though there was a significant number of noncompliant patients, they still exhibited improvements with CPAP therapy. Undertreated OSA might lead to the worsening of PTSD complications. What Can We Do For Our Patients? Knowing this information, how can we, as dentists, help our patients? 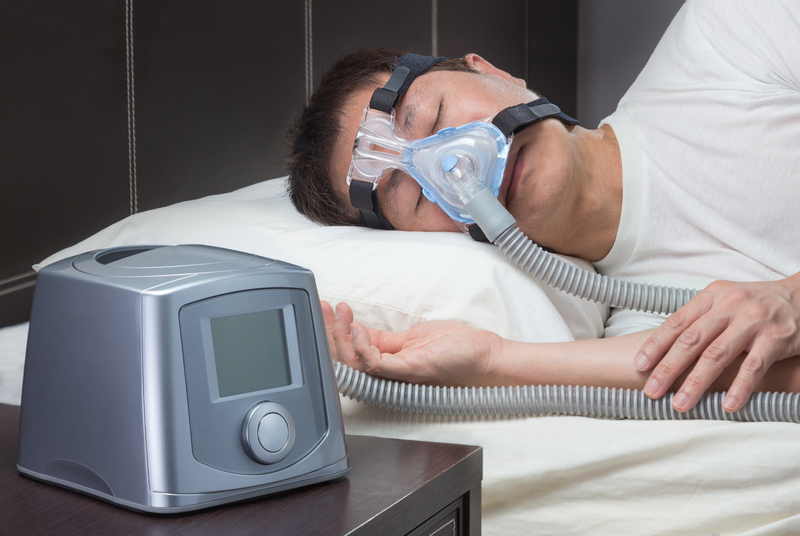 Throughout the study, it was mentioned that many patients exhibited noncompliance with the CPAP machine. As you already know, noncompliance can often be improved with the use of oral appliance therapy. If a patient is experiencing a disruption in care, oral appliance therapy might be a better option for treatment of OSA and PTSD symptoms. Listen closely to what your patients have to say about their experience with CPAP therapy and then their reaction to oral appliance therapy once that has begun. As dentists, we are in a unique position to help those patients and we need to continue to provide this service to them. Knowing that noncompliance is an issue for patients with PTSD, let’s look toward the future of care and continue to as the right questions so we can better care for our patients. PTSD is a very complicated condition and the medical field continues its search for appropriate solutions. However, knowing that there is a connection between PTSD and OSA, we can further guide treatment. We have some great upcoming educational courses to help further improve your understanding of sleep apnea treatment in the dental field. For more information, visit our Dental Sleep Medicine schedule page. If you have any further questions, please contact us through our site or by phone at 1-800-879-6468.